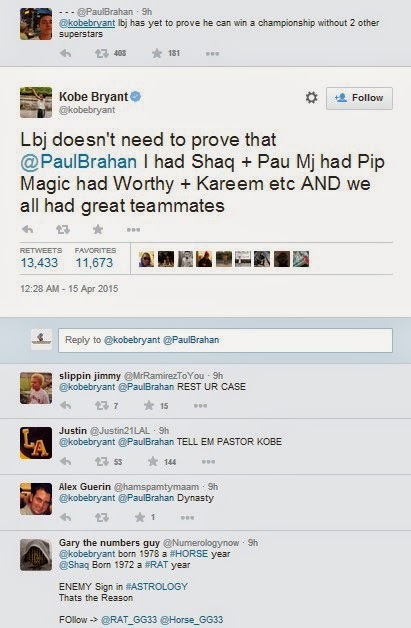 Kobe Bryant Protects LeBron James from a Hater on Twitter: Here's What He Said! Tweet Scoop: Kobe Bryant showed some love on his Team USA teammate LeBron James after someone questioned King James' legitness as an NBA Champion. 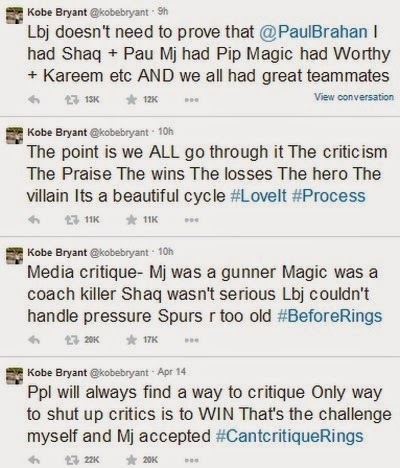 The Black Mamba validated LeBron's rings.